With this blueprint you’re about to discover the complete bodybuilding system that will help you to get bigger, ripped, and strong. So that you will be more attractive, healthier, and have more self-confidence you need to excel in all areas of your life. 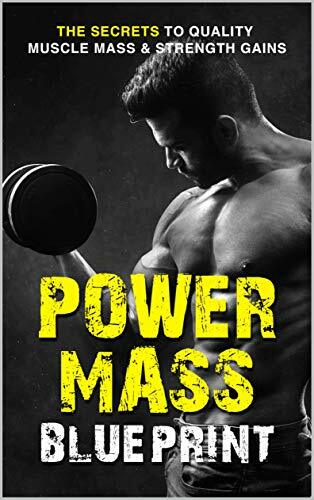 You will learn everything you need to know about power building, sculpting your body into fine art, nutrition, and supplementation tips to help you reach your body goals fast. * The one thing you need to be successful in any field, especially bodybuilding. * Practice this 5 champion’s mindset. * How to get rid of distractions, stay dedicated to your goals, and keep the fire burning until you achieve the physique of greatness. * How to train for both strength and gaining quality muscle mass. * Do this before you start lifting weights, or you’ll get injured fast. * How many sets and reps are the best for building quality muscle mass. * 3 exercises you can add to your workout routine to build muscle mass without lifting weights.